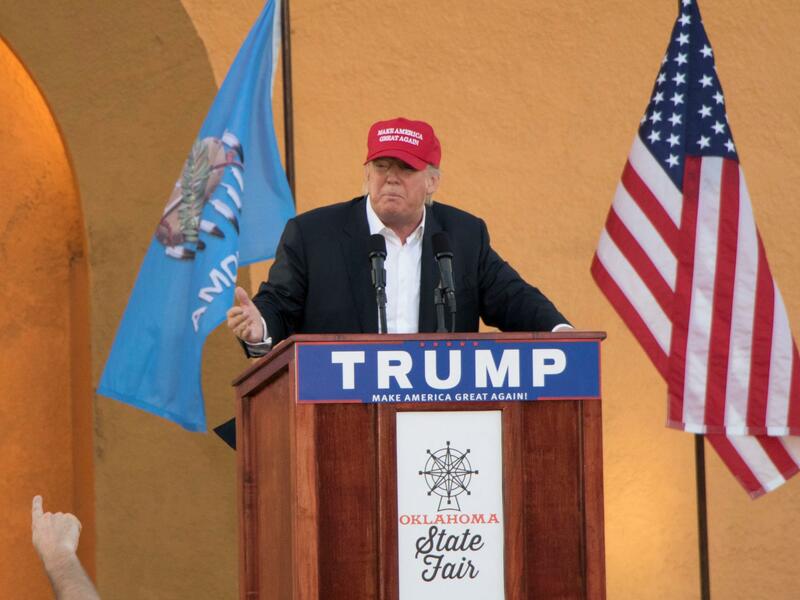 Donald Trump at a campaign stop at the Oklahoma State Fair in September 2015. Donald Trump is wooing energy-state voters by promising a presidency that will champion coal, promote drilling and free frackers from federal regulations limiting oil and gas development. If the Republican candidate’s energy platform sounds like it was written specifically for fossil fuel companies, that’s because an Oklahoma oil billionaire helped craft it. Donald Trump delivered his first major speech on U.S. energy policy at a petroleum conference in the capital city of one the country’s most oil-rich states, Bismark, North Dakota. Trump’s May 2016 stop in Bismark, when he was still campaigning in the Republican primary, had a purpose: To get people pumped up about pumping oil and natural gas. Trump promised, if elected, he’d undo environmental and climate regulations that expanded under the Obama administration. The arena crowd of about 7,000 responded with protracted applause and standing ovations. “We’re going to revoke policies that impose unwarranted restrictions on new drilling technologies. These technologies create millions of jobs,” he said. That, Trump told the audience, would free-up the market, bringing profits to energy companies, jobs to communities and personal wealth to individuals. Trump’s stop at the Williston Basin Petroleum Conference was arranged with the help of two men playing an instrumental role in helping shape Trump’s energy policy. First is North Dakota Congressman Kevin Cramer. “Probably the thing that resonates with me the most with these energy-savvy constituents of mine is his talk about regulation and the reining in of regulations,” Cramer said in an interview with StateImpact. Cramer says energy policy offers a simple way for the public to measure the effectiveness of the federal government. Much of the Mountain West is rich in minerals, but a lot of the land and wealth is controlled by the feds. Cramer says that’s not the case in states like North Dakota, Texas and Oklahoma, where fossil fuel development fuels local prosperity. 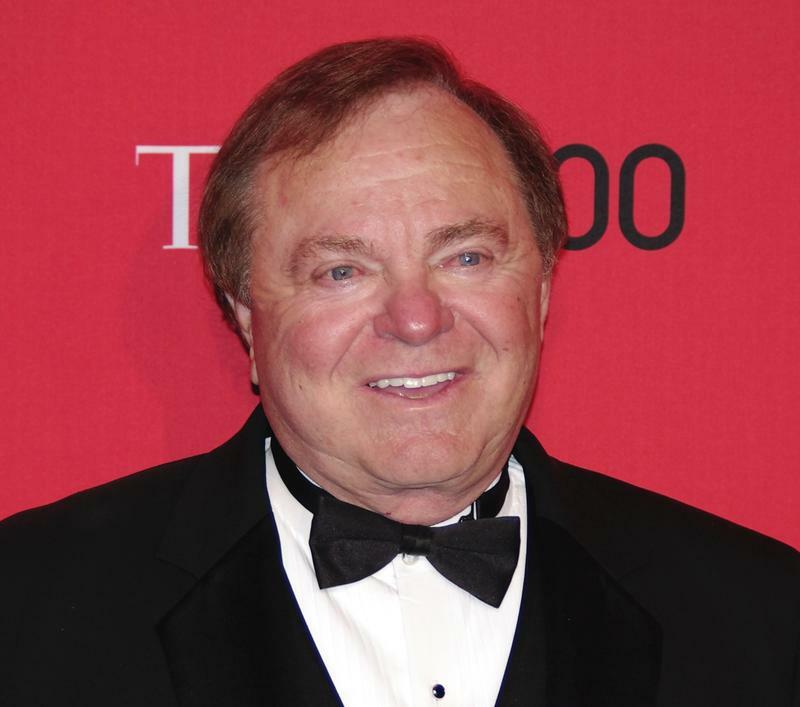 Hamm is the founder and CEO of Continental Resources, a pioneering producer in North Dakota’s Bakken Shale. Hamm is the son of Oklahoma sharecroppers, and his hard-scrabble personal journey from gas station laborer, to wildcatter, to billionaire energy boss has given him hero status among oil-field workers and corporate executives. Trump officials and Hamm didn’t respond to interview requests, but the oil and gas magnate was tapped to speak at the 2016 Republican National Convention in July. Hamm is a vocal Trump supporter and he advises the candidate on energy andeconomic issues. The fracking mogul has been named as a possible energy secretary if Trump wins in November. Previously, in 2012, Hamm served as an energy advisor to Mitt Romney. He also supported Romney’s campaign with nearly a million dollars in donations. Hamm’s 2016 convention speech drove home two big themes: First: U.S. reliance on foreign oil is a national security threat, but the environment isn’t. “Every time we can’t drill a well in America, terrorism is being funded,” Hamm said, also noting, “Climate change isn’t our biggest problem. It’s Islamic terrorism. The second point driven home in Hamm’s remarks: Drilling is the best way to reduce the foreign energy-security threat. “President Trump will fuel America’s future and become the first president to achieve American energy independence,” Hamm remarked. 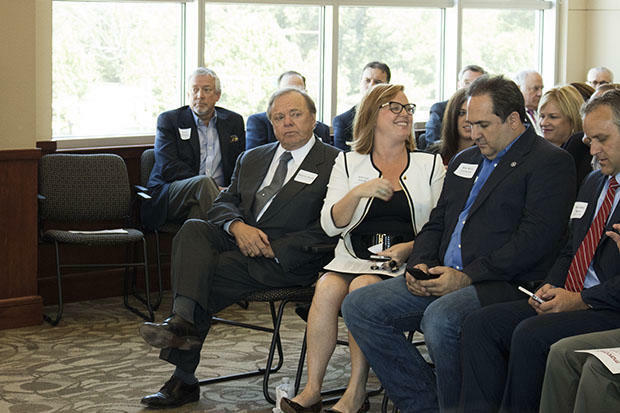 Continental Resources founder and CEO Harold Hamm, second to the left, at the Oklahoma Independent Petroleum Association office in Oklahoma City. Roger Stern, an energy economist and faculty fellow at the University of Tulsa’s School of Energy Economics, Policy and Commerce says total energy independence would be bad for U.S. consumers because global energy markets mean cheaper gasoline and utility bills. Stern sees contradictions in other aspects of Trump’s energy plan. A big one is the GOP candidate’s pledge to restore coal jobs while simultaneously promoting natural gas development, since increased supplies of the environmentally cleaner gas are a major factor fueling the decline of coal. “The idea that the oil and natural gas producers are on the same side of this thing as the coal producers is just wrong,” Stern said. More recently, in an interview with Colorado television station 9News, Trump said he’d support local bans on fracking, a controversial issue in many states, including Oklahoma, where lawmakers passed a state law preventing towns and cities from enacting such restrictions. Hamm hurried to play down Trump’s comments and reassure the press and public that the GOP candidate mis-heard the interviewer. Stern says Trump and the GOP aren’t the only ones sending muddled messages when it it comes to energy policy; Hillary Clinton struggles to make a clear case, too. One example, Stern says, is the Democratic candidate’s unwillingness to champion natural gas production and acknowledge that fracking is cleaner and environmentally better than its predecessor. Stern says neither Republicans nor Democrats seem interested in tackling many key energy policy issues that could have a big effect on companies and everyday Americans, such as the public health consequences of energy production and taxpayer subsidies of energy industries. 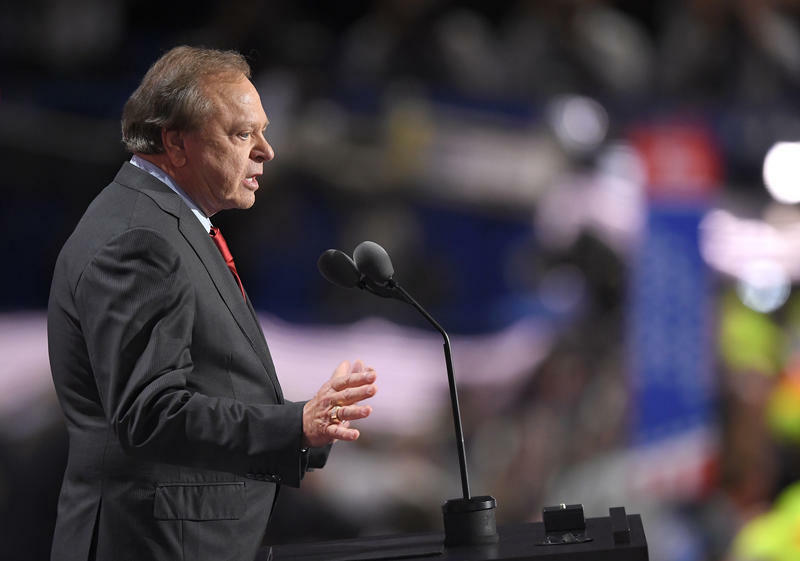 Billionaire Oklahoma oilman Harold Hamm sharply criticized environmental regulations in a pro-Donald Trump speech on energy policy at the Republican National Convention Wednesday night. The Continental Resources CEO's remarks came amid reports he would be named energy secretary if the Republican candidate is elected in November. This week, the price of oil fell below $30 for the first time since December 2003. It’s also down 72 percent from $107 just 18 months ago. Executives of oil and coal companies pushed Gov. 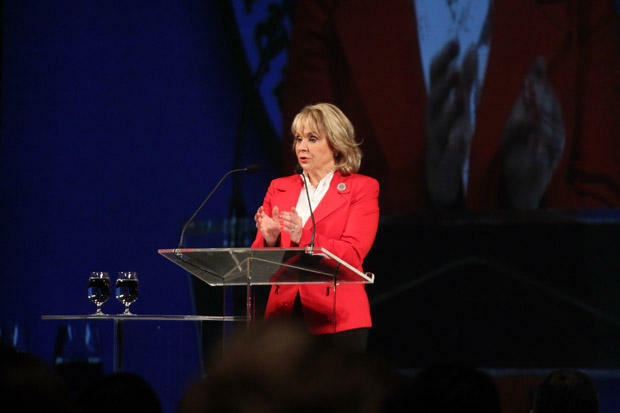 Mary Fallin to “pay more attention” to their industries in public remarks, according to state emails obtained by Greenwire. The emails, obtained through the Oklahoma Open Records Act, detail internal discussions as Fallin’s prepared for the 2013 Governor’s Energy Conference, Manuel Quiñones and Mike Soraghan report. 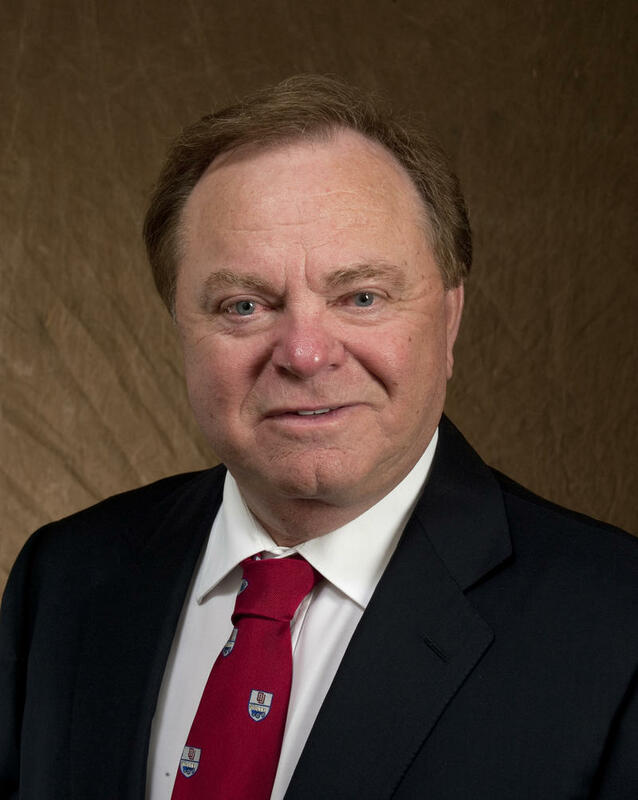 Harold Hamm, the billionaire founder and CEO of Continental Resources told a University of Oklahoma dean he wanted scientists dismissed who were researching links between oil and gas activity and this state’s earthquake surge, Bloomberg’s Benjamin Elgin reports.